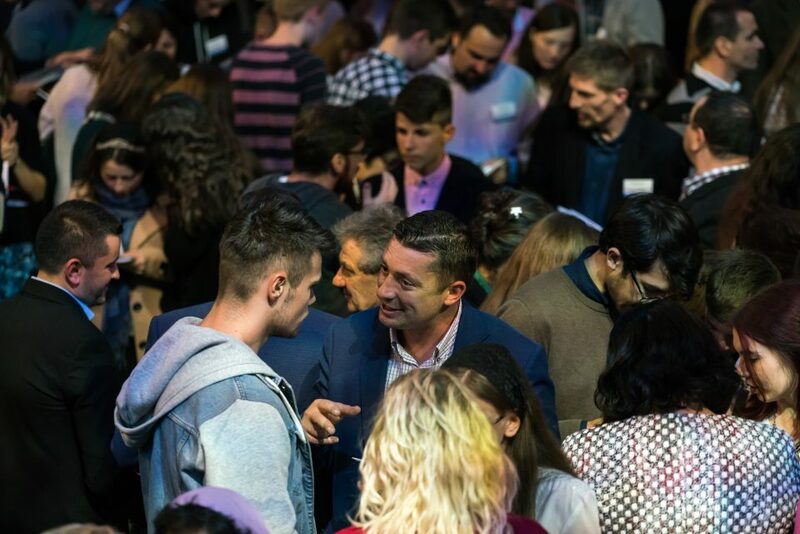 Will Graham brought the Good News of Jesus Christ to this weekend’s Hope Celebration Cluj-Napoca in Romania. 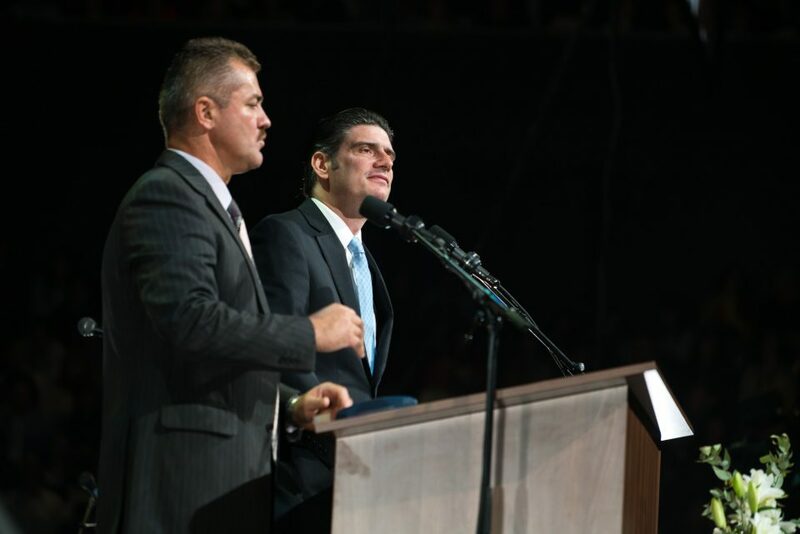 Will Graham is the third generation of Grahams to preach in Romania, following his grandfather, Billy Graham, and his father, Franklin Graham. More than 32,000 people crowded into Sala Polivalent? 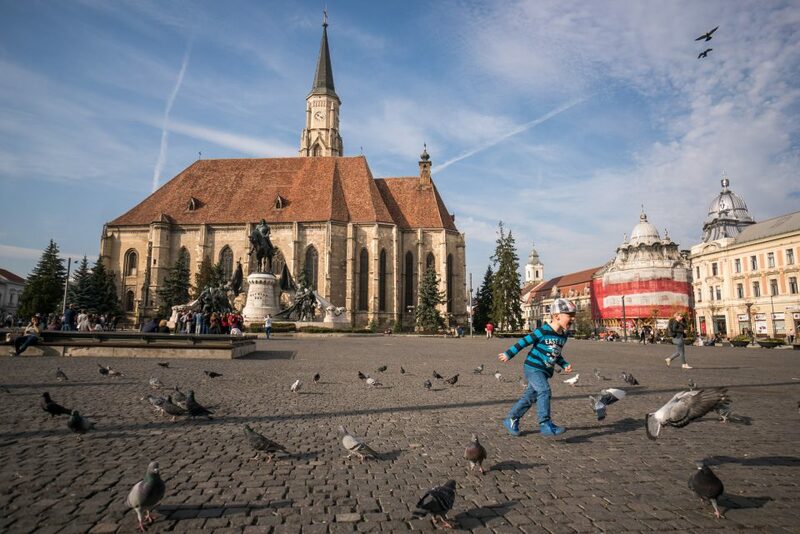 Cluj-Napoca for the Celebration, including Friday’s dedication service. 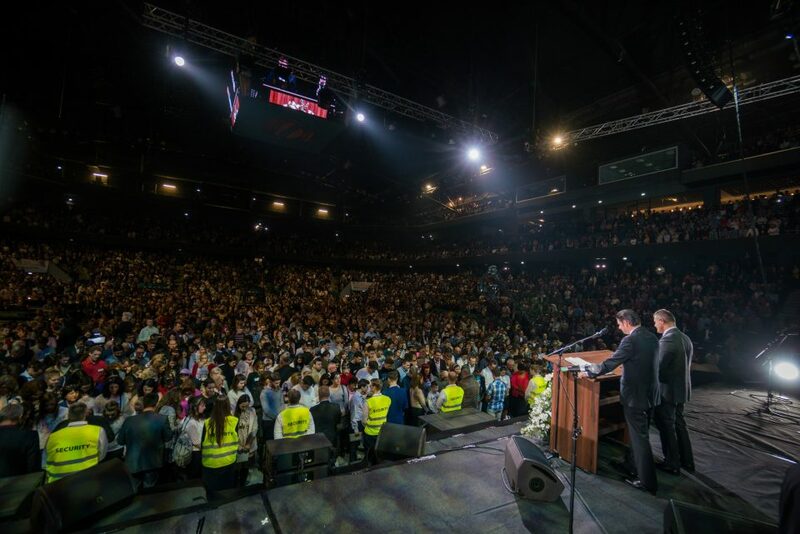 Over 600 people responded to the Gospel message to receive Jesus Christ as Lord and Saviour. 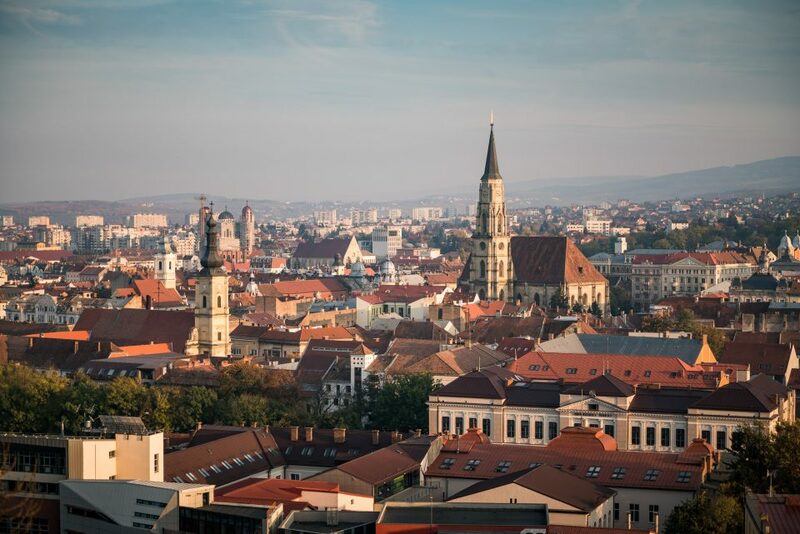 Cluj-Napoca is the second largest city in Romania behind Bucharest, the country’s capital city. 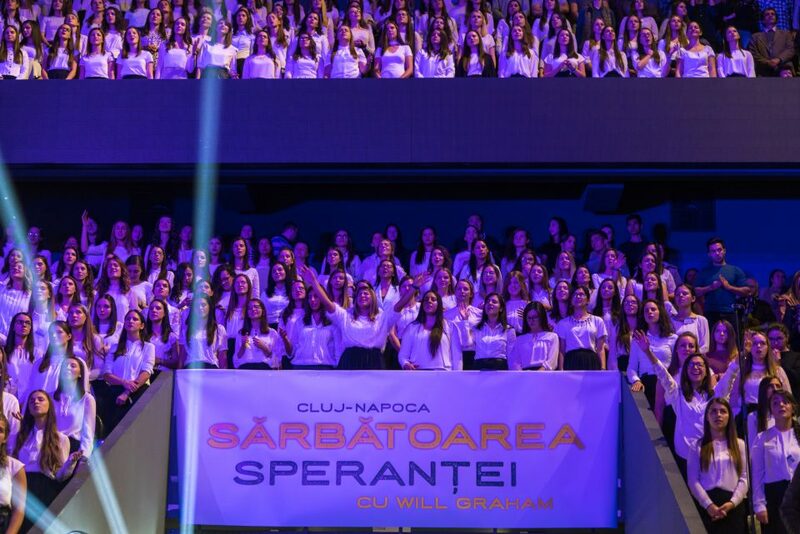 The Celebration choir was made up of 1,500 young people singing powerful worship songs. Without prompting, many in the audience pulled out their phones to wave lights in the air while singing. 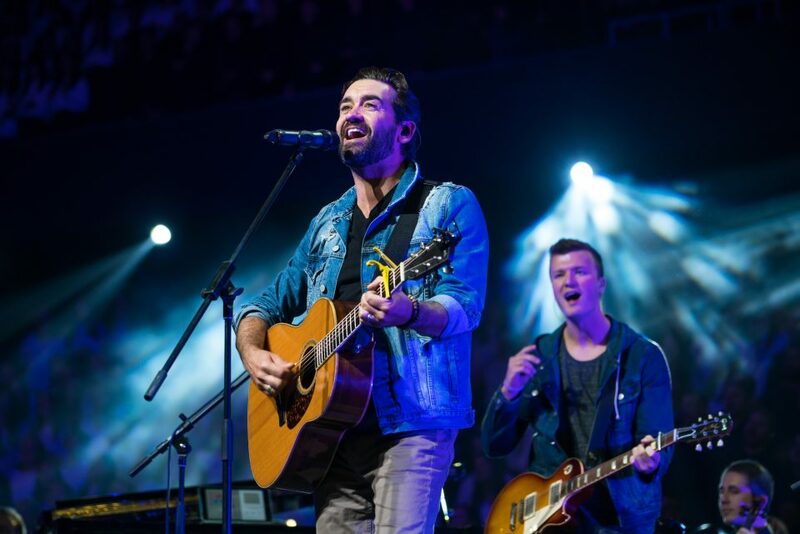 Aaron Shust and his band led thousands in a time of passionate worship. 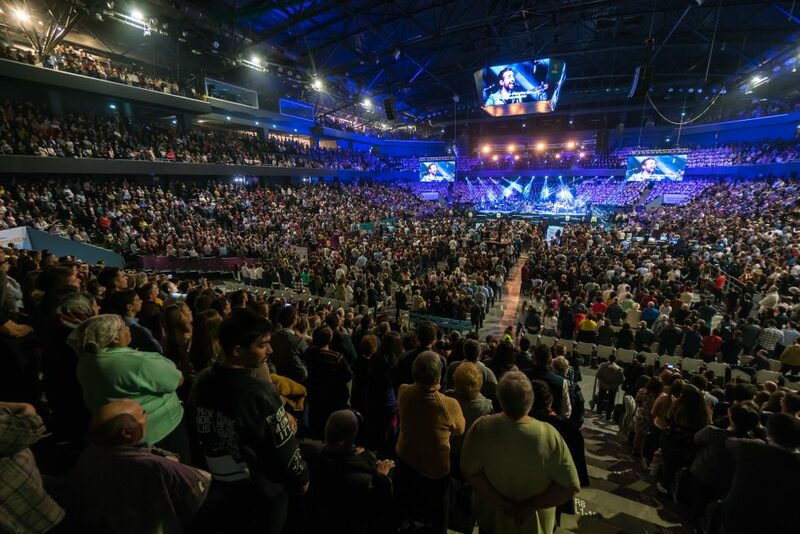 Each night as Will Graham offered an invitation to receive Christ, people began trickling toward the front. 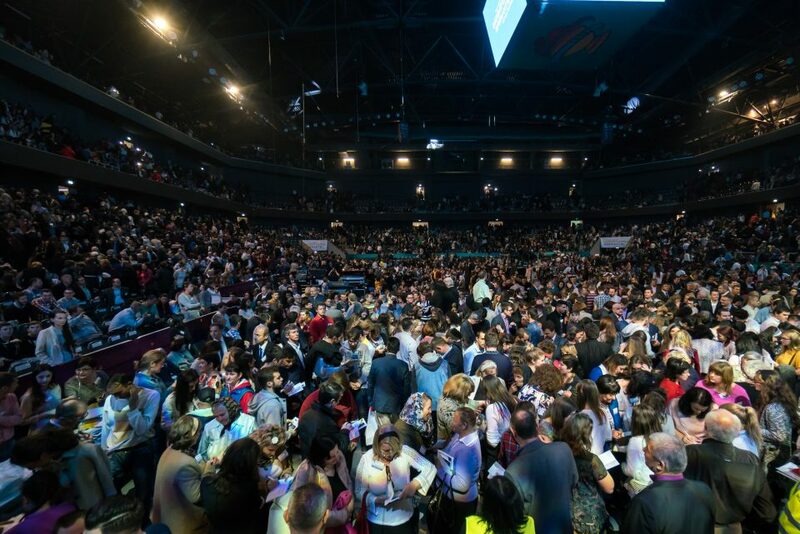 Soon there was a river of people seeking peace with God. 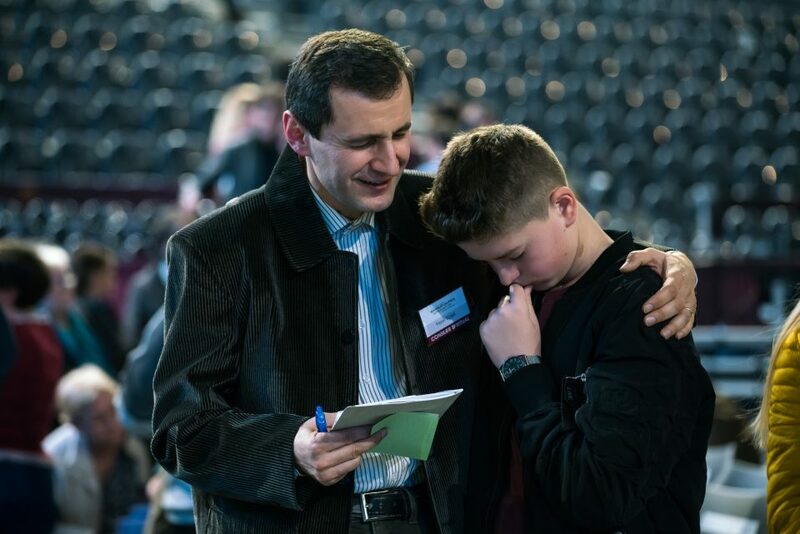 A counselor prays with a young man during the invitation. Billy Graham preached at St. Michael’s Church in Cluj-Napoca during a seven-city Romania tour in 1985. 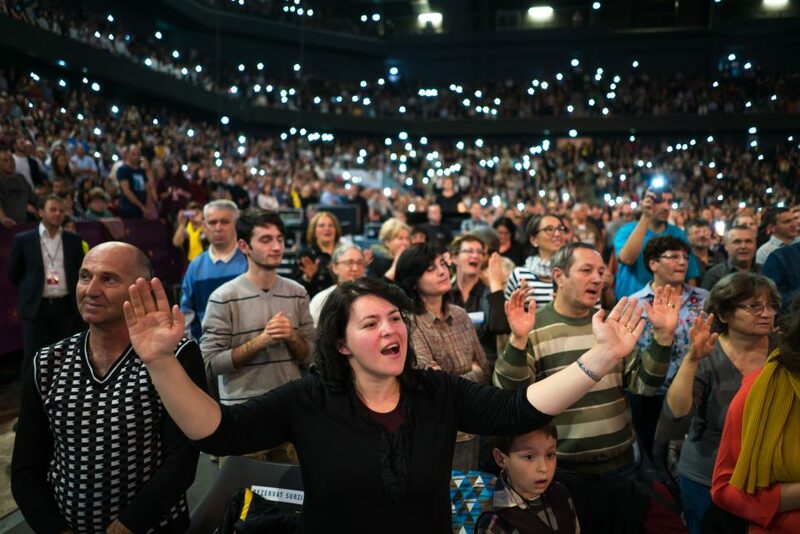 Will you also pray for all those who received Christ in Romania, that these new and rededicated believers be discipled by fellow Christians?